We have a comprehensive understanding of the family law. 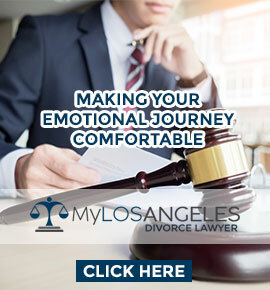 Whether it’s about getting a divorce or getting the custody of your child, we are here to help you. Here are the services we provide to our clients. If the partners decide to part away then we do everything to make the process convenient. We are aware of all the laws related to divorce and help our clients file a divorce and get what they want. Child custody is an important issue when a person gets divorced. We represent married and unmarried parents, grandparents or even stepparents. We can help you with your child’s physical and legal custody, parenting time, parent relocation, etc. We do our best to come to a negotiation regarding your child’s custody. After a divorce, the court will look into the income of both the parents. If a parent doesn’t have sufficient income to take care of the child, then the court will arrange for support service for the child. If the child needs expensive medical treatments, then also the court will arrange for the necessary support of the child. In many states, it is the law that the property must be divided equally between the partners. However, this is not the case in every state. Also, the percentage of property distribution varies according to a specific issue. We help you with the valuation of your asset, protection of your property, distribution of retirement assets, etc. Divorce is a complex process. It involves a lot of things. 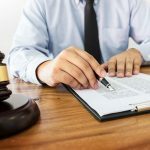 The properties and child custody are very common in divorce cases. We have all the resources to help you win your case. There are many laws related to divorce. Our lawyers understand all these laws and help our clients to get the best result possible. There are many things you need to negotiate about in case of a divorce. We are good negotiators and can help you get the most out of your situation.